John Stonecipher empowers veterans to launch careers that take them sky high. Literally. Guidance Aviation, a company that specializes in high-altitude helicopter flight training, was honored today as the U.S. Small Business Administration’s 2013 National Small Business Person of the Year. Stonecipher was selected for the award for his work in helping veterans train as professional helicopter pilots as a way to transition to civilian life. 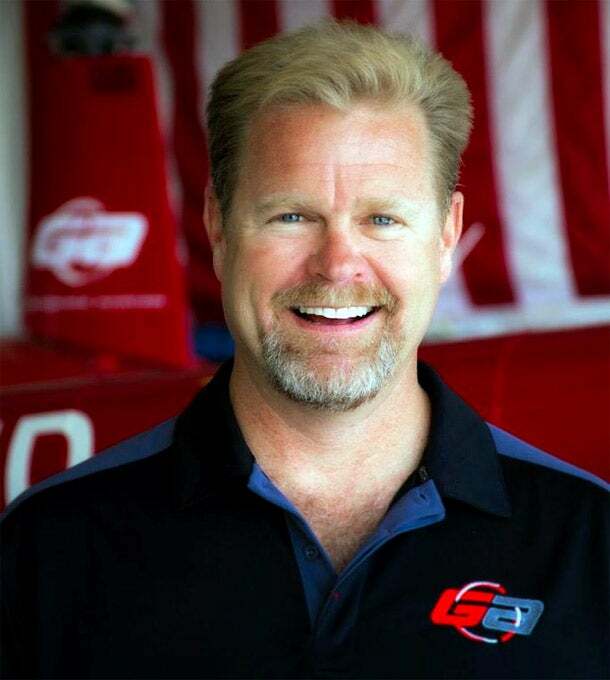 He founded the Prescott, Ariz.-based company in 1998. Stonecipher’s love of things that soar started when he was just a child. “I was little boy, four or five years old, growing up in Pasadena, Calif., and the Pasadena Police Department flew red helicopters,” says Stonecipher. “I used to look up in the sky, and basically told my dad that was what I was going to do when I grew up,” he says after the awards ceremony, which was held in Washington, D.C.
Stonecipher’s aviation school, which has a waiting list for people anxious to get in, has partnered with the local community college and is the exclusive training program for the Professional Helicopter Pilot Program at Yavapai College. The two-year career school is a combination of classroom time, work in flying simulators and at least 200 hours of hands on time spent flying a helicopter. The school boasts a 90 percent job-placement rate for graduates. Graduates go on to be helicopter pilots for a variety of programs including emergency medical service programs, charter tours or bringing workers to offshore oil and gas rigs. Typically the school has 120 students, and more than half are veterans. Under the Post 9/11 GI Bill, any veteran who has served for three years after September 11 is eligible for full tuition reimbursement, in addition to a book and living stipend to attend school. Stonecipher started his business with one helicopter and no employees 15 years ago, and now he has 16 helicopters, a handful of planes and 54 employees. Annual revenues in 2012 were just over $8 million. Stonecipher expects to open a second flight school in Baton Rouge, La. Stonecipher was also recognized for his generosity towards his community. Guidance Aviation has donated almost $500,000 to charity and public institutions and more than two dozen flights to various organizations. Also, the school has donated a helicopter to the search-and-rescue team of the Yavapai County Sheriff. Three or four children went missing in the local region and the county did not have the money to buy a helicopter for rescue efforts, so Stonecipher gave it one. Stonecipher has also donated an airplane to an education-promotion effort called Think Global Inc. The airplane will fly around the world, making virtual command centers available for school kids, getting them excited about science and math learning. “When I was growing up, the shuttle program, NASA, was my big driving force to get me into aviation. That is what kept me extremely excited. Now that that has all been downsized, I feel it is my responsibility being part of this industry, to give back to children,” he says. Stonecipher was selected from the group of 53 state National Small Business Week honorees, one from each state and U.S. territory. Businesses highlighted ranged from beekeeper suppliers to nanoneedle manufacturers. The first runner-up to the 2013 Small Business Owner of the Year Award is Noah Leask, president and CEO of Mount Pleasant, S.C. -based Ishpi Information Technologies Inc., a cyber-defense business that does work for the U.S. Central Command and the Department of Homeland Security. Leask is a service-disabled U.S. Navy veteran and a member of the Sault Ste. Marie Tribe of Chippewa Indians. The second runner-up to the 2013 Small Business Owner of the Year Award is Kari Block, the founder and CEO of Bismarck, N.D.-based Earth Kind Inc. Block developed an earth-friendly, biodegradable rodent-repellent made with ingredients including corn cobs and essential oils. The wife of a farmer, Block wanted to develop a rodent-repellent safe for children and pets. She hires people with developmental disabilities to assemble and package the products.